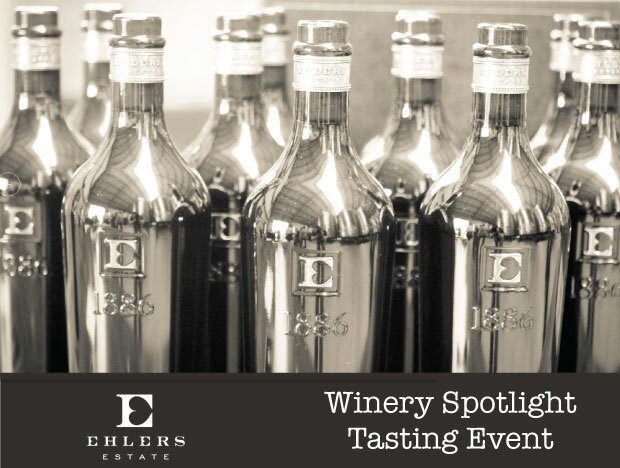 Join us for a Winery Spotlight tasting event, featuring Ehlers Winery of St. Helena, California. 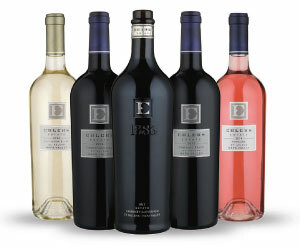 The story of Ehlers Estate is one of passion, patience, and hard work. It was the lure of winemaking that tempted Bernard Ehlers to buy a small, dying vineyard in the late 1800s and create the winery that continues to bear his name. A century later, another husband and wife team discovered the lure of this idyllic spot in the heart of the Napa Valley. French entrepreneurs and philanthropists Jean and Sylviane Leducq continue to produce wines with the power, balance and structure of the finest Bordeaux bottling they knew and loved. It was the lure of winemaking that tempted Bernard Ehlers to buy a small, dying vineyard in the late 1800s and embark on a quest to create the winery that continues to bear his name. 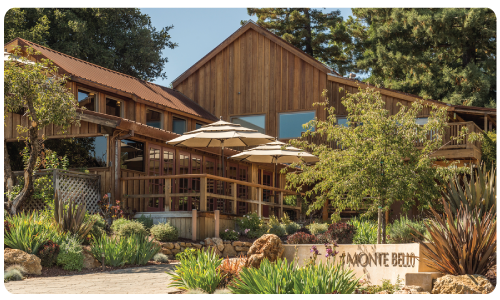 He replanted his newly-acquired 10-acre vineyard, established the olive grove that still thrives today and in 1886 completed construction of the stone barn that is now our beautiful winery building and tasting room. His original Bale Mill Winery continued to operate long after his death, run by his wife until the 1920s and then by successive new owners who took advantage of its prime location and unique terroir. A century later, another husband and wife team discovered the lure of this idyllic spot in the heart of the Napa Valley. French entrepreneurs and philanthropists Jean and Sylviane Leducq saw the potential for this region to produce wines with the power, balance and structure of the finest Bordeaux bottlings they knew and loved. Over several decades they patiently built a contiguous wine estate – common for French chateaux but increasingly rare in California. With the help of renowned enologist, Jacques Boissenot, they gradually acquired individual local vineyards as they came up for sale and replanted with the most suitable clones and rootstock. By the turn of the century they had created the 42-acre estate we farm today, with Bernard Ehlers’ original stone barn and vineyard at its heart and the Ehlers name once again poised to grace wine labels. The 21st Century began with the release of the very first vintage from the Leducq’s new Ehlers Estate. Developing the winery had become a passion project for Jean and Sylviane, one they shared long after the sale of their other successful businesses in Europe. Their legacy remains in safe hands today under the leadership of our current winemaker, Kevin Morrisey, who was favored by Sylviane because he shares the same passion for creating sophisticated wines with an old-world charm that capture the character and heritage of our land. By using organic vineyard practices, Ehlers Estate leaves a minimal footprint on the land and provides maximum flavor in the grapes. Taking advantage of the robust Estate ecosystem and carefully-chosen rootstocks, the vineyard crew coaxes the vines to fully express the numerous soil types and microclimates found on the estate. Once the grapes are harvested, the cellar crew knows when to be hands-on and when to let nature takes its course as the wines ferment, develop and age. Today, the winery strives to be responsible stewards of the land and continue the legacy of Bernard and Anne Ehlers, and Jean and Sylviane Leducq, who saw the potential that you can taste in every bottle of Ehlers Estate wine. 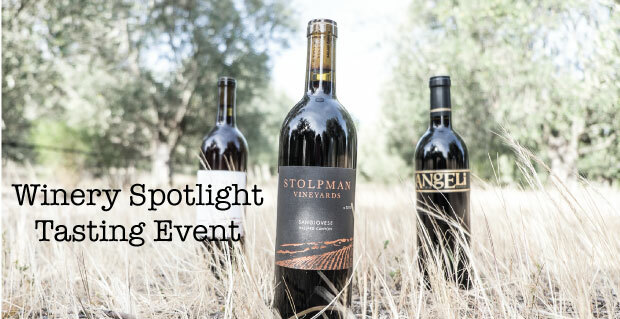 Join us for a Winery Spotlight tasting event, featuring Stolpman Vineyards of Los Olivos, California. 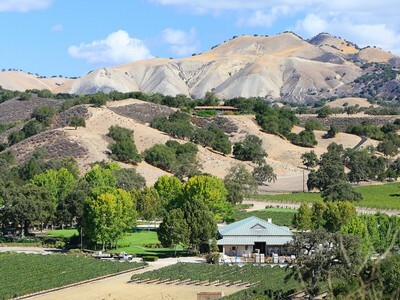 The largest vineyard in the AVA, Stolpman Vineyards is considered the founding vineyard of Ballard Canyon. Over a dozen other vintners followed Tom Stolpman into Ballard Canyon and based on the results of their experimentation, all have decided to focus on Syrah. Planted in 1992 and 1994, their first blocks of Syrah are the oldest vines, producing concentrated Syrah with a firm structure built for aging. Please join us as we Taste, Learn and Enjoy® these delicious wines from the Stolpman Vineyards. Cheers! If you ever get a chance to visit historic Los Olivos, be sure to stop by their adorable “little red cottage” tasting room. Or click here for a virtual tour. Los Olivos is one of my favorite places to visit, very cute and quaint little neighborhood of tasting rooms, just outside of Solvang, CA in the Santa Ynez Valley. Our WineStyles team had the pleasure of visiting wineries in Los Olivos last year. Over 20 years ago, Founding Partner, Thomas Stolpman, discovered what he believed to be one of the greatest viticultural sites on earth. Hidden in the hills of California’s Central Coast, on a rare Limestone outcropping & unobstructed from the Pacific Ocean wind, this unique land is naturally suited to grow Syrah and Roussanne grapes. Stolpman Vineyards are committed to preserving this natural environment for vines through natural farming, dry farming, & sustainable employment. In the winery, they prefer native fermentation & minimal manipulation. 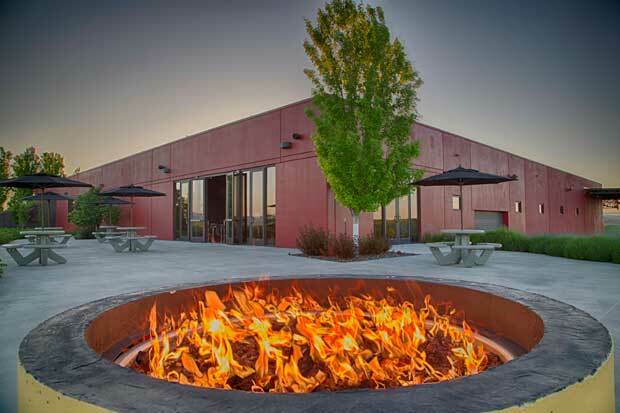 Dedicated to sensible farming & winemaking, Stolpman Vineyards believe that theycan create natural, vibrant, site-specific wines, with a focus unique to Ballard Canyon AVA, California. Behind every great man there is a strong woman. Marilyn Stolpman seeded the idea of creating a vineyard in Tom’s mind back on their honeymoon in 1974. Marilyn believed she and Tom should only invest in something the family could enjoy, and encouraged Tom to pursue his viticultural dream. Marilyn was first exposed to wine while a UCLA undergraduate studying abroad at the University of Bordeaux, where she studied French literature. Today, Marilyn heads up the estate extra virgin olive oil program and promotes Stolpman wines with Tom. Tom Stolpman still practices law as a trial attorney with the Long Beach, California firm of Stolpman, Krissman, Elber & Silver LLP. 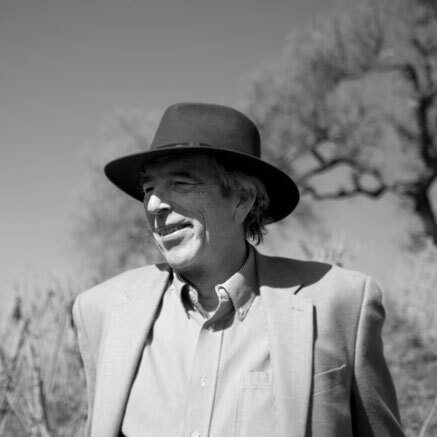 When not preparing or trying cases, he is the founding partner and charismatic historian of Stolpman Vineyards and Ballard Canyon. Tom and Marilyn finished construction of their dream house on the vineyard, Villa Angeli, in 2013. Perched atop one of the vineyard hills, Tom and Marilyn can enjoy the family dynasty they have created. 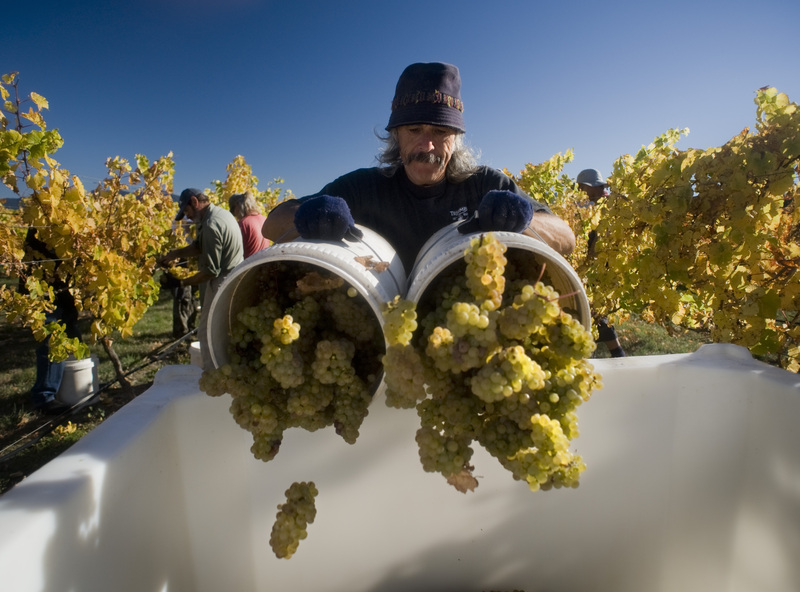 Learn more about the folks at Stolpman and their “Grape Whisperer”. Join us for a Winery Spotlight tasting event, featuring Fess Park Winery and Vineyards of Santa Ynez Valley, California. When Fess Parker was cast in the role of Davy Crockett in the mid-1950’s, it caused an international sensation and changed his life forever. So too did the purchase of 714 acres in the Santa Ynez Valley change the course of the Parker family’s history. Driving north along the pastoral Foxen Canyon Wine Trail feels like traveling back to California’s early days. Rolling hills frame vast meadows, deer and wildlife roam free, and pristine landscapes stretch as far as the eye can see. Realizing the potential of Santa Barbara County as a premium grape-growing region, Fess and his son, Eli, originally set out in 1989 to plant a small vineyard and sell fruit to local producers. But, as Fess’ daughter, Ashley explains, “ Fess is from Texas, so he can’t do anything small. “The Fess Parker Winery and Vineyard now farms almost 700 acres on four vineyards throughout Santa Barbara County. Eli Parker and his sister Ashley continue to stay involved as stewards of the family’s vision for the winery while Ashley’s husband Tim Snider serves as President and oversees day-to-day operations. 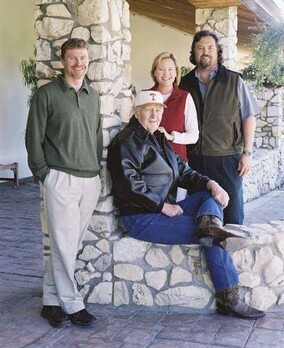 The family’s vineyard is the 120-acre Rodney’s Vineyard, named after Fess Parker’s late son-in-law, at the 400-acre Foxen Canyon Road estate where the winery is located. They also source grapes from Camp Four vineyard in the heart of the Santa Ynez Valley, which Parker planted in 1998 as well as vineyards in the cooler Sta. Rita Hills and Santa Maria Valley appellations. Blair Fox assumed the role of head winemaker in 2005. 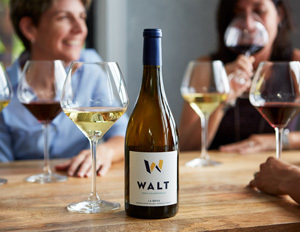 In recent years, the winery has sharpened its focus to produce more small-lot, vineyard-designated wines made from high-quality Rhone and Burgundian varietals, which have won awards in national wine competitions. Completed in 1994, the new winery and tasting room are loosely designed after an Australian sheep station, with a grand stone fireplace, stone floors, and a wraparound veranda with picnic tables. The spacious complex is set amid an acre of meticulously landscaped grounds that border the vineyard. The amphitheater-style lawn, rimmed by mature oaks, provides a serene setting for picnics, summer evening performances by Shakespeare Santa Barbara, and other events. Indoors, visitors taste the latest vintages at a worn knotty pine bar, surrounded by photos of Fess Parker as Davy Crockett and Daniel Boone and other memorabilia related to the actor’s television roles. Working as a family has always been a great source of pride and pleasure for the Parker family. 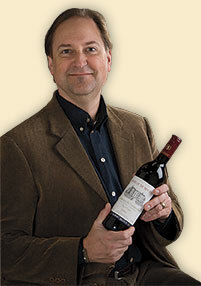 Eli Parker began in the family business as assistant winemaker in 1989. After several years of learning the craft at the side of renowned and accomplished winemakers, Eli took the reigns as winemaker himself with the 1995 vintage. A leader of the winery since its inception, it was in 1996 that Eli formally assumed the title and responsibilities of President. In the early 1990’s, Ashley ran the first tastings out of the barrel room and represented the winery at trade shows. In 1998, Ashley became Eli’s partner, working on the public relations and sales and marketing teams. 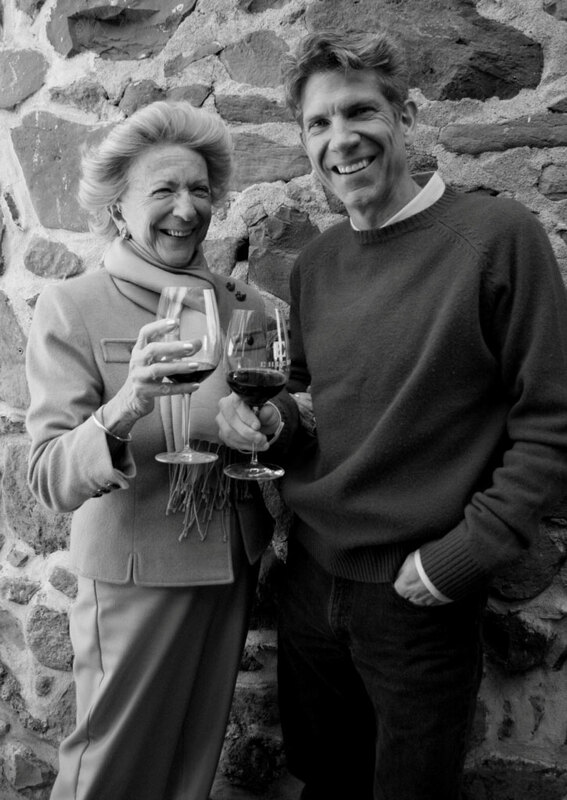 The presence of Fess and his wife Marcy as the founding visionaries of the winery is a vital and enduring one. Join us for a Winery Spotlight tasting event, featuring Greywacke wines of Marlborough, New Zealand. 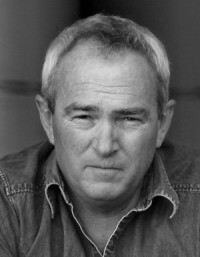 One of Marlborough’s pioneering winemakers, Kevin Judd’s career is intrinsically linked with Marlborough Sauvignon Blanc. Established in 2009, Judd’s label Greywacke (pronounced “grey-wacky”) is the fulfillment of a long-held dream. Named after New Zealand’s prolific bedrock, Greywacke was originally adopted by Kevin and his wife Kimberley as the name for their first Marlborough vineyard in Rapaura, whose soils have an abundance of these river stones. Greywacke sources fruit from mature vineyards within Marlborough’s central Wairau Plains and the Southern Valleys. Also an established professional photographer, Judd’s home in the Omaka Valley overlooking Marlborough’s picturesque vineyards provides inspiration for both his passions. 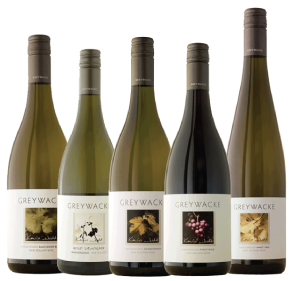 The Greywacke portfolio is based on the Marlborough region’s signature varieties, Sauvignon Blanc and Pinot Noir. The Sauvignon Blanc is crafted in two distinctive styles: classically pure Marlborough Sauvignon, and an alternative wild yeast-fermented, oak-aged Sauvignon. In addition, Kevin indulges his creative drive with small parcels of Chardonnay, along with aromatic varieties Pinot Gris and Riesling. When the season graces this idyllic region with ideal conditions, limited releases of late harvest wines from the aromatic varieties are produced. The wines of Marlborough are known worldwide for their precision, intensity, and distinctiveness, bequeathed by an extraordinary climate and a diverse collection of soils. The expression of unique sites within this distinguished environment lifts the wines of Greywacke to another level. Kevin takes a low-intervention approach to winemaking in order to coax the finest nuance of individuality from each hand-selected vineyard parcel, while maintaining the aromatic intensity for which Marlborough is renowned. Purity of varietal expression is a foregone conclusion in the fruit Kevin works with; indigenous yeast are then left to run their course in new and older French oak barriques, ensuring ample texture and complexity in these compelling wines. Already garnering worldwide acclaim, they show a common thread of layered concentration, fine structure and invigorating freshness. Join us for a LIVE webcast wine educational class with Doug Frost, Master Sommelier and Master of Wine. Attend our very first Wine & Beer Boot Camp educational series of 2016 and learn how to Taste Like a Pro! Doug Frost will share his tips of the trade, making you look like a pro! 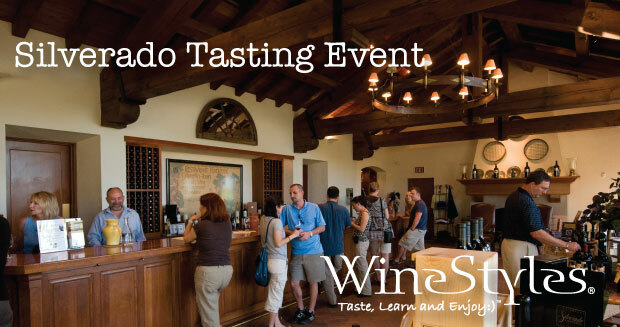 Seating is limited – call your local WineStyles Tasting Station store to RSVP. In 1991, Doug Frost passed the rigorous Master Sommelier examination and two years later became America’s eighth Master of Wine. He was the second person in history to complete both exams and almost two decades later he is still one of only four people in the world to have achieved both these remarkable distinctions. According to USA Today, “Frost likely knows as much as anyone in the world about how to make, market, serve and identify wines.” The Wine Spectator has also bestowed the accolade of Master of Spirits on Mr. Frost, and he is one of the founders of BAR (Beverage Alcohol Resource), considered by most industry professionals to be the preeminent education and examining body for the spirits and cocktail industry. He continues to teach and examine for BAR and within the Master Sommelier and Master of Wine programs; currently he serves as President of the Institute of Masters of Wine North America. Doug Frost also reviews, tastes and approves the monthly selection of Wine Club wines for WineStyles Tasting Station. His first book, Uncorking Wine, is a staple for many restaurant and retail companies and their staff and management. Frost’s second book, On Wine, published by Rizzoli International, was released in 2001 and his most recent book, Far From Ordinary: The Spanish Wine Guide, the third edition released in 2011. Frost is a contributor to the Oxford Companion of Wine, Opus Vino, The World Atlas of Wine by Hugh Johnson and The Wine Report, an annual report edited by Tom Stevenson. He writes about wine and spirits for many publications including the San Francisco Chronicle, the Underground Wine Journal, Drinks International, Practical Winery & Vineyard, Wines & Vines, Wines & Spirits, Cheers Magazine, Sante Magazine, and Epicurious.com and is the beverage columnist for the James Beard award-winning food section of the Kansas City Star, as well as Hemispheres Magazine, Missouri Life and Fine Cooking. Frost is the host of Check Please!, an Emmy Award nominated weekly public TV show filmed in Kansas City. He also appears as a featured judge on Public Television’s The Winemakers, PBS’s first nationally broadcast reality show. Contact your participating local WineStyles to RSVP! 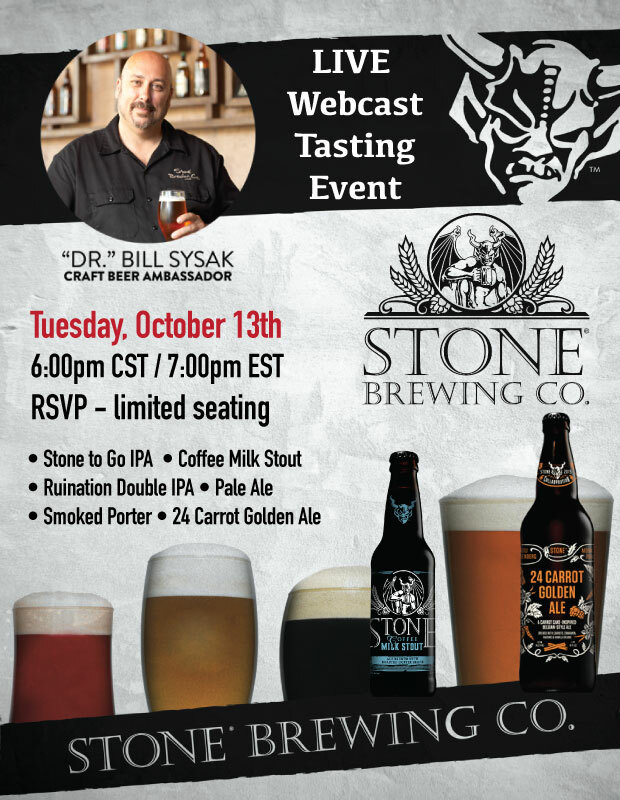 Join us for a LIVE virtual beer tasting event with Stone Brewing’s craft beer guru, “Dr.” Bill Sysak. 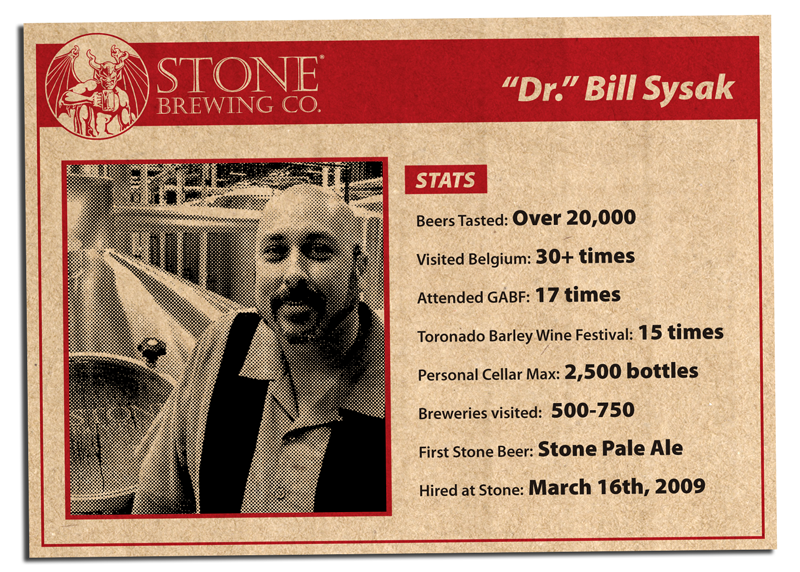 In real-time, taste 6 Stone craft beers along side “Dr.” Bill and ask him your questions online. Seating is limited – call your local WineStyles to RSVP. Bill Sysak, or as he’s more often referred to, “Dr. 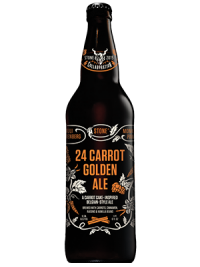 Bill,” is the Craft Beer Ambassador for Stone Brewing Co. “Dr.” Bill is a Certified Cicerone® and has proven expertise in selecting, acquiring and serving craft beers. He received his nickname through his work as a medic in the military Army National Guard, and the moniker has stuck with him throughout his career in the craft beer industry. At Stone, he’s responsible for setting the beverage standard and ensuring the beverage philosophy is followed at all Stone Brewing Co. venues. “Dr.” Bill is widely considered one of the foremost experts in the field of pairing beer with food. He suggests the beer, wine and food pairings for the menus at our restaurants, and also coordinates and hosts many Stone Brewing World Bistro & Gardens events including: Beer & Cigar Dinners, Master Pairing events, Sour Fest, Oakquinox, Stone Pour it Black, and Rare Beer Breakfast. Sysak has been featured in such publications as New York Times, Draft magazine, Imbibe, Los Angeles Times, and Food & Wine. 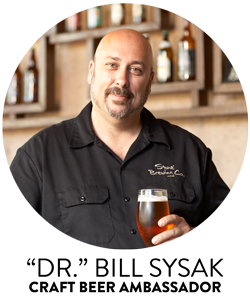 He is on the San Diego State University “Business of Craft Beer” Advisory Board and is the instructor for the “Exploring Craft Beer” course. “Dr.” Bill can also be found on the popular Internet podcasts, “New Brew Thursday” where he does a “Master Pairings” segment each week and “Expert Drinking,” where he educates his fans on the best of craft beers, cigars, fine wines, and spirits. Learn more about “Dr.” Bill on Stone’s Blog here. 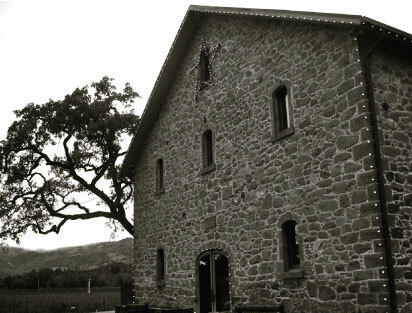 The winery’s name, Silverado, comes from an abandoned mining town at the top of Napa Valley. A century later, the widow, daughter and son-in-law of Walt Disney began carefully laying the foundation of what would be come Silverado Vineyards in 1976. 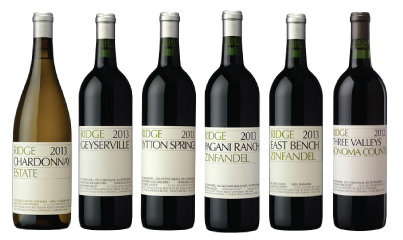 A few years later, they also acquired a vineyard in the Stags Leap District – known for the quality of it’s Cabernet Sauvignon. Silverado Vineyards now farms six distinctive, family owned vineyards in the Napa Valley and Carneros, three of which are historic sites from these proprietor owned vineyards. 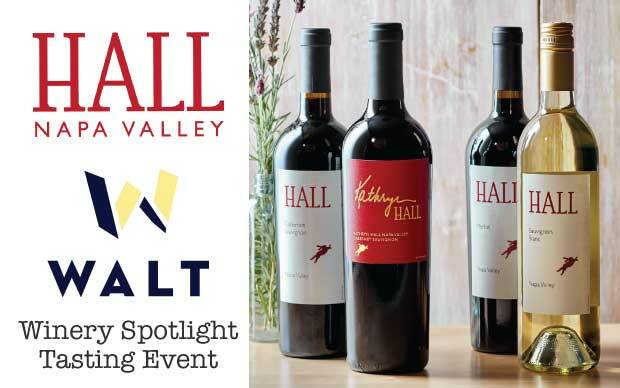 Please join us for a Winery Spotlight tasting, featuring Silverado wines. “The winegrowers . . . are perhaps the most fascinating aspect of terroir . . . Starting with a vision, they activate the links that connect Earth with vine and fruit, guide the transformation of fruit into wine, oversee its maturation, and only then present the liquid that completes the circle, connecting us with the Earth from which the wine arose.” – Jonathan Swinchatt and David G. Howell, The Winemaker’s Dance. Good wine is about people, from every hand that helps create Silverado’s Cabernet to every current and future friend who lifts a glass of wine around the dinner table. 100% of the estate is sustainability farmed: 15% is farmed organically; 70% is Certified Napa Green; 50% is preserved in the Land Trust exclusively for open space and agriculture use. 50% of the winery is powered by solar panels. Proud of their accomplishments, Silverado is just getting started. They also donate time, money and wine to over 70 organizations annually that need our help to keep their communities safe, healthy, learning and enjoying the pleasures of artistic endeavor. For Silverado, sustainable is not simply a farming method. It is an approach to all of their activities. 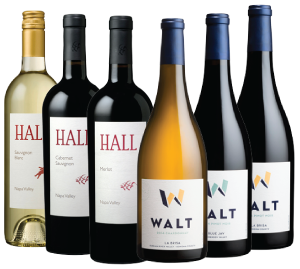 It is the driving force behind everything they do to ensure that this winery and estate are here for generation of customers and neighbors to enjoy. 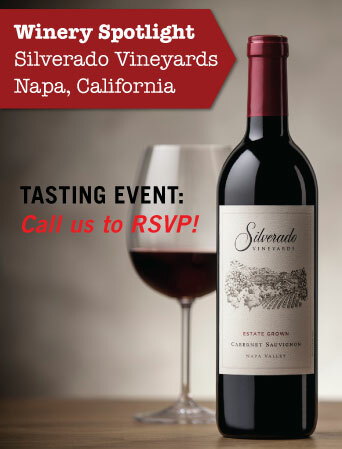 Please join us for a special tasting event with Silverado.